Around 130 women in Gloucester and 170 in Cheltenham die each year of heart disease it has been revealed. Commonly stereotyped a ‘man’s disease’ more than 310,000 women in the South West of England live with a heart or circulatory condition. In the South West of England, 7,240 women die each year from heart and circulatory diseases with 170 of those coming from Cheltenham and 130 from Gloucester. Maureen Talbot, Senior Cardiac Nurse at the BHF, said: “Coronary heart disease kills nearly three times as many women as breast cancer. Yet as a society we continue to prop up the myth that heart problems are just for men. Everything from TV adverts to soap plotlines show men with heart conditions. But it’s incredibly rare to hear about a woman with heart disease. Even with supportive family and friends around them, women can feel lonely and afraid when they’re diagnosed with a heart condition. The BHF’s Women’s Room – an online hub available 24 hours a day – allows women with heart conditions to share their experiences and find support from other women who know exactly what they’re going through in a women-only online forum. The online hub features stories of real women living with heart disease. 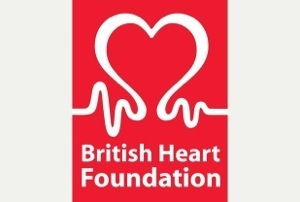 It offers practical information to help women adjust to life with a heart condition, such as how to tell colleagues, family and friends about a heart condition, how to deal with work issues, what to do if they’re worried about their finances and how to cope if they feel upset or stressed. It also includes of information and advice for all women who want to keep their hearts healthy. The BHF created the online hub in response to feedback from women heart patients and wider research with more than 600 women across the UK. Women, who are worried or curious about their heart, can visit the BHF’s Women’s Room – an online hub full of practical information and a forum where they can talk to other women, just like them.